Fitch Ratings on Monday affirmed Egypt’s Long-Term Foreign-Currency Issuer Default Rating (IDR) at ‘B’ with a positive outlook. The rating agency said Egypt’s ratings are supported by progress in implementing an economic and fiscal reform programme, greater macroeconomic stability, and improving external finances. Yet, it said the ratings are constrained by large fiscal deficits, high general government debt/GDP, and weak governance scores (as measured by the World Bank governance indicators). 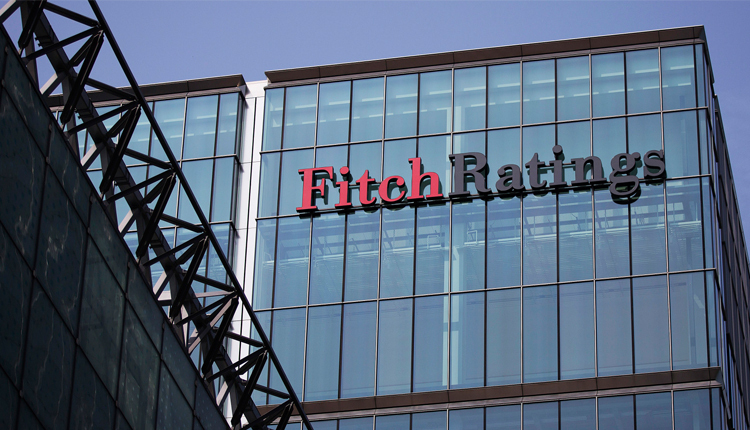 The positive outlook reflects the improving trends across a number of Egypt’s credit metrics in response to the reform programme, Fitch added in its statement on Monday. Egyptian government has demonstrated strong commitment to its reform agenda and remains broadly on track with the $12 billion three-year Extended Fund Facility (EFF) signed with the IMF in November 2016, it added. In July 2018, the IMF board approved the third review of the EFF and disbursed $2 billion, bringing total disbursements to $8 billion. This leaves $4 billion to be disbursed in 2018-19. Fitch forecasts that Egypt real GDP growth will accelerate to 5.5 percent in FY19 (financial year ending June 2019) and FY20 and that average inflation will drop to 11.6 percent in 2019, from 13.0 percent in 2018. “Egypt has witnessed stronger growth and disinflation following an inflationary spike, after the exchange rate reform and sharp depreciation of the Egyptian pound and other reforms since late 2016. Real GDP growth firmed to 5.2 percent in 1H FY18 (July-December 2017), driven by tourism, construction, and gas extraction. Inflation dropped to 11.5 percent yoy in May, after averaging 29.5 percent in 2017. In June, inflation increased to 14.4 percent following further subsidy reforms ahead of FY19. The rating agency also said it forecasts smaller current account deficits (CAD) in 2018-2020, averaging 2.5 percent of GDP, and maintenance of adequate FX reserves, covering on average six months of current external payments (CXP). Reserves covered an average of 2.8 months of CXP in 2012-2016. External debt/GDP increased sharply in 2017, although Fitch forecasts that it will moderate in 2018-2020 and a large chunk remains on concessional terms. At end-2017, there was $26 billion multilateral debt, $13.9 billion Paris Club debt and $17.9 billion of GCC deposits – more than half of total external debt. The CAD halved in 2017 and was 38 percent smaller yoy in 1Q18, driven by tourism, remittances, non-oil exports and restrained, albeit strengthening, import growth. Tourism credits and remittances grew by almost 300 percent and 20 percent respectively in 2017. In 1Q18 tourism revenue made further gains, by 80 percent yoy, while remittances grew by 12 percent. Non-oil exports have also responded to the more competitive Egyptian pound and were 19 percent higher yoy in 1Q18, reaching their highest level in at least seven years. Import growth has been picking up in 2018 in part because of higher oil prices. However, gas production from the Zohr offshore field started in December and stood at 1.6 billion cubic feet/day in July. It is expected to increase to 2 billion cubic feet/day by September and may eliminate Egypt’s need to import gas. In 2017 net FDI inflows covered 77 percent of the CAD, up from 39 percent in 2015-12016. In 1Q18 net FDI covered more than 100 percent of the CAD. In addition, there has been a surge in non-FDI inflows into the financial account, given substantial bond issuance, multilateral and bilateral loans as well as other commercial loans and portfolio inflows. Fitch further added that public finances will remain a key weakness of Egypt’s credit profile, but the trend is positive, with the budget deficit and government debt improving in FY18 largely in line with expectations. The budget sector recorded a primary surplus (albeit marginal at 0.1 percent of GDP) for the first time in 15 years, according to preliminary data, driven by rising tax revenues, and spending restraint on wages and subsidies. The wage bill dropped to 5.4 percent of GDP from a peak of 8.4 percent in FY14. However, the headline budget sector deficit only narrowed to 9.8 percent from 10.9% in FY17, given a further increase of interest payments in response to the rise in debt in FY17 and higher interest rates. We estimate that general government debt/GDP fell to 93.6 percent in FY18 from 103.1 percent in FY17. We expect further fiscal consolidation will help reduce general government debt/GDP to 88 percent in FY19, and in the longer term, to around 75 percent by FY23, close to the level of government debt at the time of the Arab Spring uprisings. The government is targeting a budget deficit of 8.4 percent of GDP in FY19 and a primary surplus of 2 percent of GDP (our forecasts are slightly worse, at 8.8 percent and 1.6 percent, respectively). This assumes a 1 percent of GDP increase in revenue, related to better tax collection and faster GDP growth, and savings of 1.4 percent of GDP from energy subsidy reforms. These savings would more than offset higher capital spending and lump sum bonuses for the civil service and pensioners. In June, petroleum prices increased by an average of 45 percent, which the IMF estimates raised the pre-tax price-to-cost ratios to 73 percent. The aim is for full cost recovery by end-FY19 and the introduction of an automatic price indexation mechanism. Electricity prices went up by an average of 36 percent (electricity subsidies are to be fully eliminated by FY21) and natural gas prices for household and industry by an average of 30 percent -75 percent on 1 August. This followed large increases in metro fares and water and sewage fees. Relatively weak governance together with security and political risks continue to weigh on the rating. Egypt scores below the ‘B’ median on the composite World Bank governance indicator. The potential for political instability remains a risk, in Fitch’s view, given the economic adjustment programme and ongoing structural problems including high youth unemployment and deficiencies in governance, as well as intermittent security issues, which have previously harmed tourism. The government has sought to mitigate the risk of discontent by bolstering social safety nets (including cash transfer schemes), maintaining food subsidies and boosting electricity provision, while the space for political opposition and freedom of expression is restricted, in Fitch’s view. Abdel Fattah el-Sisi was re-elected for a second term as president in March 2018, although the only opposition candidate emerged at the last minute and was an erstwhile supporter of the president; voter turnout was low, at 41 percent. Fitch’s proprietary SRM assigns Egypt a score equivalent to a rating of ‘B’ on the Long-Term Foreign-Currency (LT FC) IDR scale. Fitch’s sovereign rating committee did not adjust the output from the SRM to arrive at the final LT FC IDR. Fitch’s rating committee decided to remove a +1 QO notch adjustment assigned to the Macroeconomics analytical pillar, which had compensated for the fact that the previous SRM output of B- captured the immediate negative impacts of the depreciation of the EGP more than it captured the future positive effects and the improvements in fiscal and monetary policy frameworks. This is now better reflected in the SRM, resulting in the SRM output moving to ‘B’ from ‘B-‘. The political environment is assumed to be more stable than in 2011-2013, although sporadic, and at times serious, attacks on security forces are assumed to continue and underlying political and social tensions will remain. Fitch forecasts Brent crude to average USD70/b in 2018, USD65/b in 2019 and USD57.5/b in 2020.